A new interview with Sega and developer M2 allowed them to shed light on the lengthy release delays in their Sega Ages series. The Japanese site Game Watch spoke with both parties of many things retro-Sega related, and the subject of Sega Ages came up. The Sega Ages line launched last fall exclusively for Nintendo Switch, repackaging Sega’s classic 16-bit titles with enhanced HD visuals and various quality-of-life features. In effect, the slow releases of Sega Ages titles (with four available to date) comes down to the care and attention given to each game by M2, coupled with learning the Nintendo Switch hardware. “We feel very bad that our releases have been much slower than we initially planned. We understand that some fans are upset by this, and we apologize for letting you down. I believe there were some things that we spent too much time developing, but I hope all our fans understand that this extreme attention to detail was necessary to meet our fans’ expectations of the titles in this collection. No one needs a mediocre or half-baked game. We will strive as a team to accomplish the goals we set out to do. The long wait between titles, like the the three-month wait between the initial pair of Sega Ages games in September to December’s Phantasy Star revival, also came down to marketing, and how the publisher chose to spread their games out for better awareness among consumers. Now that M2 has better grips on the Switch hardware, Sega promises that releases are more likely to increase in pace. Despite the initial promise of 15 games in the first year of Sega Ages, that may not be possible even so. Such was promised when Sega Ages was announced in April 2018. 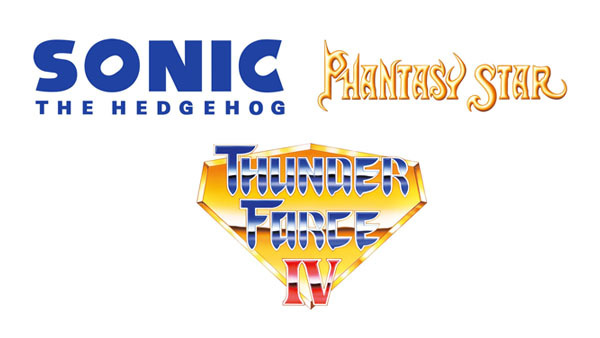 The Sega Ages line-up currently consists of Sonic the Hedgehog, Thunder Force IV (Lightening Force in the US), Phantasy Star, and Outrun. Puyo Puyo and Puyo Puyo Tsu are the next incoming releases in Japan, with Sega having previously made vague promises to expand the line-up with legacy titles from the Sega Dreamcast, Saturn, and more.